There hasn’t been much info regarding a Splinter Cell movie in some time and it seems that the first little bit of info we’ve come across is actually really big news for the film. Ubisoft has been hard at work on their movie franchises and in keeping things secret. It was recently announced that Michael Fassbender will don the iconic assassin outfit for the upcoming Assassin’s Creed film. Today, it was announced that Tom Hardy has signed on to play Sam Fisher in the Splinter Cell series. To me, that is a great move by Ubisoft in securing a top tier actor for a video game movie. I believe that Hardy will be able to portray Sam Fisher. What I’m really interested in is what voice will Hardy use for Fisher? As a gamer, I’ve gotten used to Michael Ironside’s voice as Fisher and I’m not too sure how close Hardy can come to anything similar. But I do have full confidence that Hardy can get the job done. As of right now, there is no director for the film, but Eric Warren Singer is writing the screenplay. There isn’t a set date for the film yet either, but I’m guessing it will be around 2014 or 2015. 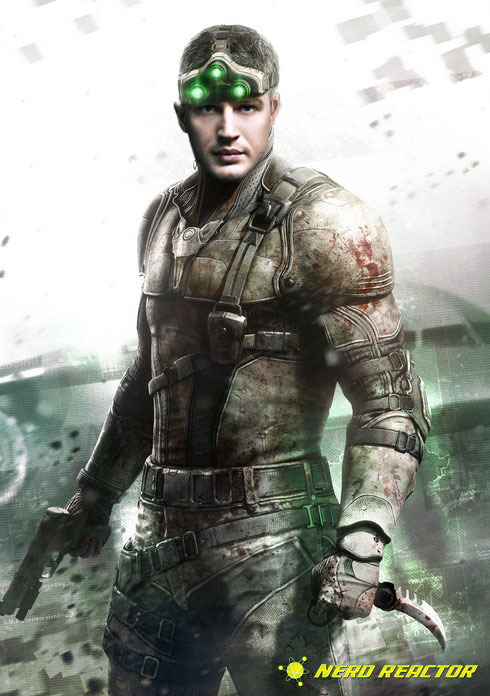 What do think of Tom Hardy as Sam Fisher? Who would you choose to play the part?